Replacement zip-off cover made with 100% GOTS certified organic cotton quilted with American Dream® Wool. 6" depth. NOT WASHABLE. This is NOT a Mattress - just the zip off outer - to replace a cover that has been soiled or shrunk. 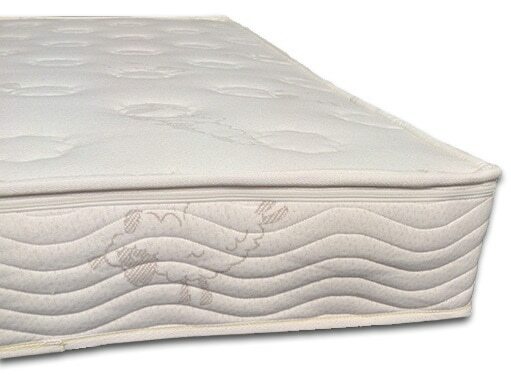 I have had a few people needing new covers for their Budget Latex Mattress - which had 4.5" latex in it. This cover will be too big - deeper than the Budget Latex - but since Purerest - who made the Budget Latex Mattress - has gone out of business, this is the best option we could find.